75th Anniversary of the Boy Scouts. The cover features Robert Baden-Powell, founder of the Scout Movement and the first Chief Scout of the Boy Scouts Association. 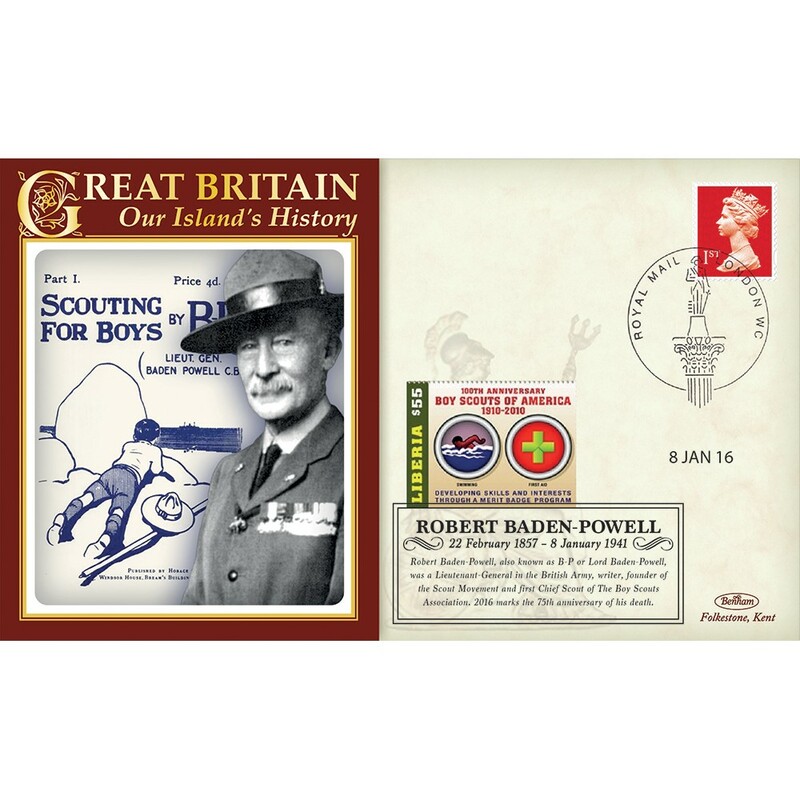 The cover bears a single Red Definitive cancelled by a London WC handstamp and a Boy Scouts of America commemorative.